Posted on August 15, 2012 by Ms. B. Create foldables for 2 of the poems that we have read in class. 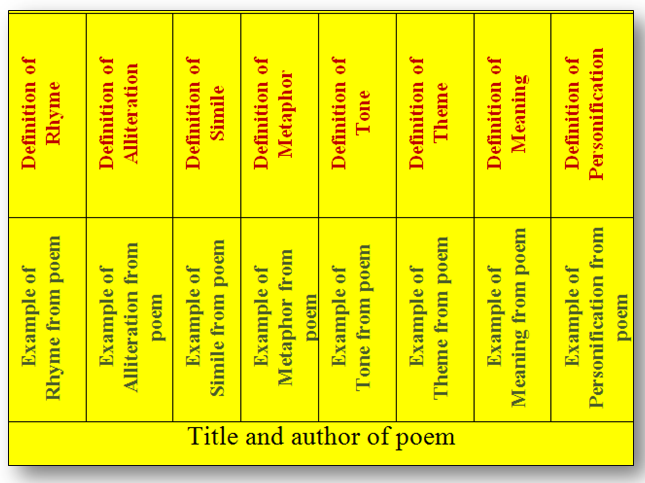 �Your foldable will have 8 flaps on it with the definition and example from the poem of your choice of poetic devices.